This is a simple salad for lazy days. Just chickpeas, diced cucumbers (lots of them), and big bright showers of cilantro and lemon zest. (OK...a little bit of diced onion too.) The dressing is just a bit of oil whisked with a bit of lemon juice and a splash of vinegar. Make a big bowl because it develops the longer it sits and will taste better tomorrow than it does today. 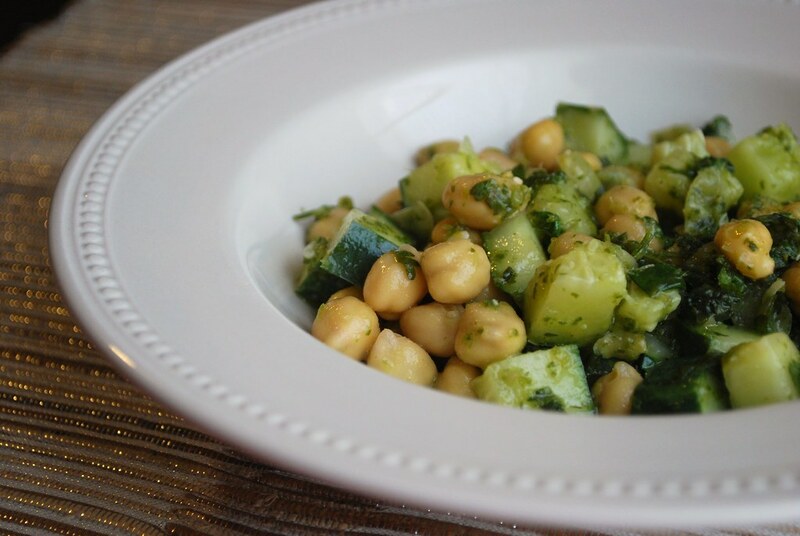 Left to soak in a bit, the cucumbers take on a slight pickled tasted and the chickpeas absorb mouthfuls of flavor until you find yourself sneaking forkfuls right out of the fridge. I used canned chickpeas for these, but I made sure to give them a good rinse with fresh cold water first. It's not required, but it's something I always like to do to whisk away that slightly sludgy liquid and musty smell all canned beans seem to have. (This trick, by the way, also works wonders to get rid of the extra fishy smell of water-packed tuna.) Some brands package their beans with a bit of extra sugar or salt in the liquid so a quick rinse helps get rid of that and gives you more control over the flavor of your dish (and your nutritional intake). 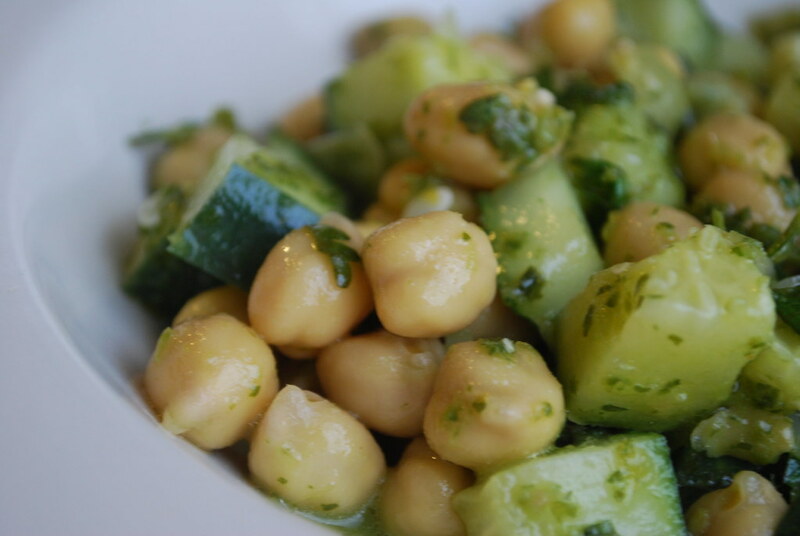 In a large bowl, combine the rinsed chickpeas, diced cucumber, cilantro, and red onion. In a separate bowl, whisk together the olive oil, lemon zest and juice, vinegar, salt, and pepper. Add the dressing to the chickpea mixture and toss to coat. Taste and adjust seasoning if necessary (depending on how much juice your lemon had, you may need a bit more vinegar or oil. This can be eaten right away or made up to 24 hours in advance.